The Psalmist reminded us that we are fearfully and wonderfully made and God has something definite planned for us to do while we are here. 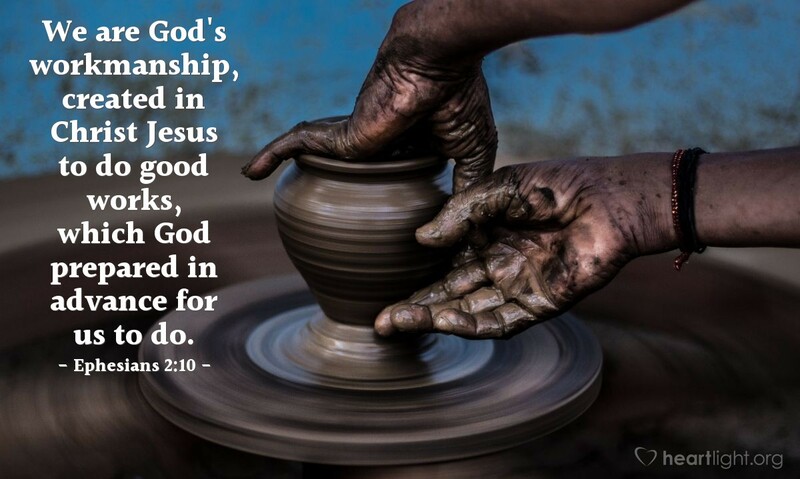 We display his craftsmanship and skill when we intentionally live for him and not like the rest of the world. Master, teach me to recognize your opportunities and your will when they come into my life. I want to live for you without reservation. I pray for boldness to not be shy in sharing my faith. I pray for patience as I wait for folks to respond. I pray for protection on those close to coming to Christ. I pray not for me but for your Kingdom to be displayed in my life. In the name of Jesus I pray. Amen.